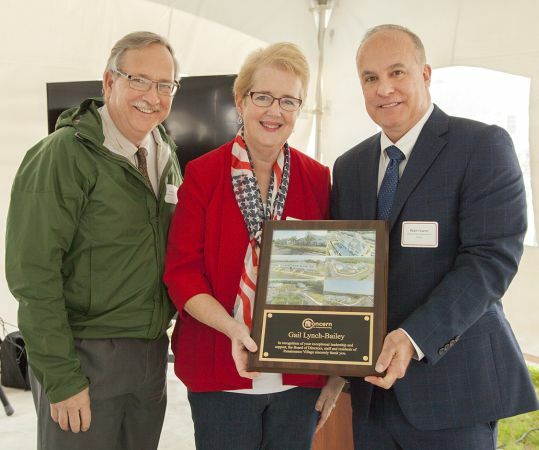 CONCERN THANKS GAIL LYNCH-BAILEY AND THE COMMUNITY OF MIDDLE ISLAND – Concern for Independent Living Inc.
Concern for Independent Living was pleased to honor Gail Lynch-Bailey, President of the Middle Island Civic Association, at the Grand Opening of Renaissance Village on October 16, 2017. For many years, Ms. Bailey and the Middle Island Civic Association have worked tirelessly to revitalize the community by promoting the redevelopment of blighted and underutilized parcels. Concern is thankful to Ms. Bailey and other members of the Middle Island Civic Association for welcoming us into their community. I think that this is awesome and it gives low income people like myself a chance to live nice and take away some of the stress of struggling.